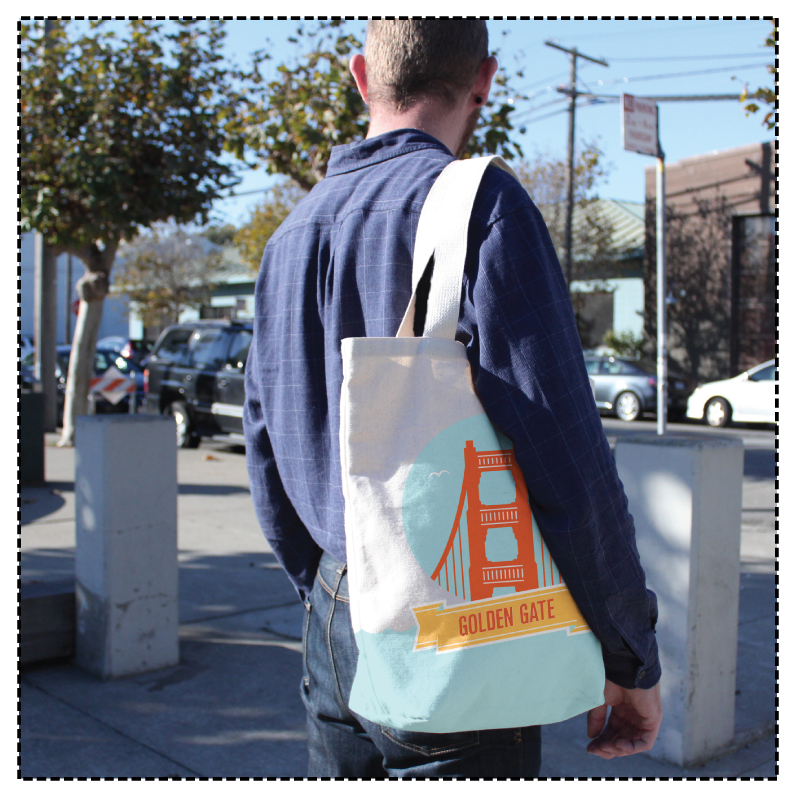 Introducing our new San Francisco Landmarks grocery tote, celebrating some of SF's most beloved architectural treasures. Designed by local artists, Heather Tompkins and Nazir Agah, this durable 4 color screen printed canvas bag pays homage to this beautiful city in both design and color, and it's made right here! There's no better way to show your love for San Francisco. We're pleased to offer our Grocery Tote – the perfect companion to a shopping trip at the Farmer's Market, day at the beach, or daily errands that would otherwise keep your arms full. After trying dozens of sizes and shapes we picked a silhouette that we felt offered the best form and function. The screen printed base offers extra durability and structure and each bag is printed pre-assembly to create a beautiful all over print from seam to seam. With its long form and long handles, the grocery tote provides ample room for groceries, but remains sleek enough to be thrown over your shoulder and used as a day bag on your next adventure. Local artists, Heather Tompkins and Nazir Agah, set out to create a new grocery tote that captured San Francisco's timeless aesthetic in a simple, modern design. With six of SF's most beloved architectural icons on the back, and a larger scale icon represented on the front, it's up to you which of your favorites you would like to highlight while you're out and about! "My daughter introduced me to thi..."